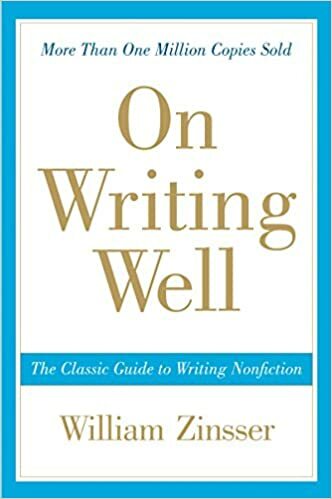 I read this book ten years ago (here’s my breathless and inept review from 2007) and was reminded of Zinsser’s book after reading Jessica Mitford’s Poison Penmanship. The re-read was coincidental to the launch of my August writing group and provided some guide rails of additional thought. Most advice about writing circles around the same concepts—be yourself, tell your story, provide interesting detail, avoid platitudes. Writing about a trip? “Nobody turns so quickly into a bore as a traveler home from his travels. He enjoyed his trip so much that he wants to tell us all about it—and ‘all’ is what we don’t want to hear. We only want to hear some. What made his trip different from everybody else’s? What can he tell us that we don’t already know?” You don’t actually have to travel far to write about a place, just settle into a spot and distill its uniqueness. Another exercise: think about one place that’s important to you, tell us why you want to write it and how you want to write about it. Bonus points if quest or pilgrimage. The advice offered by S.J.Perelman also rings out: “[To write humor] takes audacity and exuberance and gaiety, and the most important one is audacity. The reader has to feel that the writer is feeling good. Even if he isn’t.” You have to jump start your own engine, get started, and do it every day.